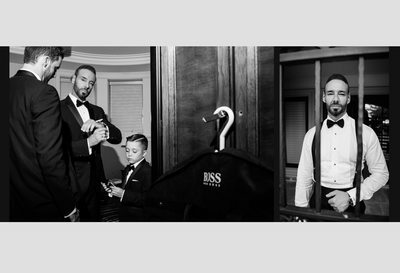 This marvelous photo album follows a story-line of a beautiful Croatian bride and groom from the early morning preparations to their lavish wedding reception at the Ritz-Carlton in Toronto, Ontario. Our panoramic image of the entire banquet venue will help you appreciate the splendor of this luxury event. We’ve seen this hotel differently designed for every wedding, but this one is our favorite so far. Important to note that the quality of the wedding decor, table-scapes, floral arrangements and sweet delights is paramount for any event. 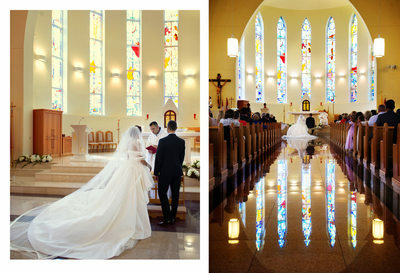 Our bride chose the right industry professionals to achieve her envisioned Parisian wedding theme. We prefer minimalistic album designs because we want our couples to appreciate their favorite wedding photos individually. 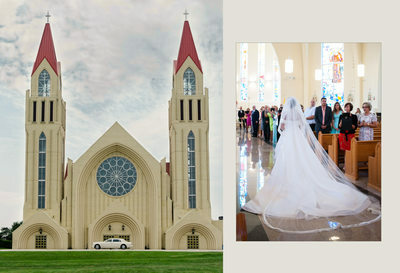 Sometimes, it is nice to have one picture across the entire spread like the bridal panorama for example. The image stands alone and adding more photos might diminish its magnitude. Little details such as treats and sweets look great in a collage although some elements are so beautiful that they too deserve a full page. We also like to group pictures of people having fun since these, in turn, create a real feeling of a party. We completed the album with a powerful image for the final “Wow” effect. This album ends with a photo of the bride and groom dancing together in solitude at their chosen wedding venue - The Ritz-Carlton Toronto. The wedding of our amazing Croatian couple was twice published in print. 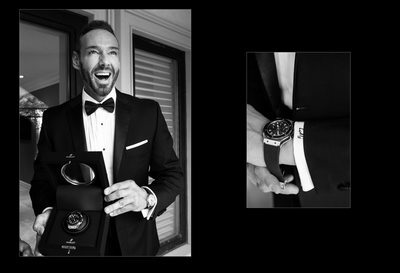 Once in the local wedding couture magazine and once more in a Croatian publication. Lunardo, Krystal. “Haute Couture in Giambattista Valli. 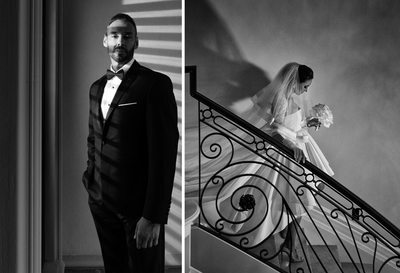 The Wedding of Jasmin & Eddy.” Dauphine Magazine. The Vanity Issue. Issue 3 SS. 2016: 152-160. Print. Pintar, Nevio. “Glam Stil Života.” Gloria Glam. Feb. 2016: 137-149. Print.